Since the autumn of 2000, the Portsmouth Maritime Folk Festival has been held annually in Portsmouth, New Hampshire. 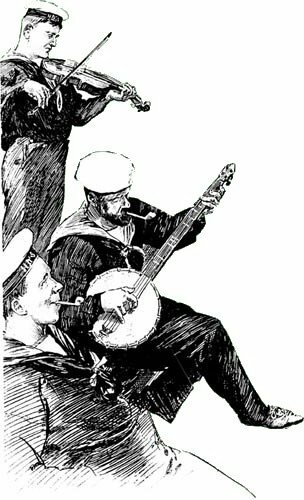 We celebrate our local and national heritage of seafaring and maritime trades by taking nautical songs and music to the pubs, cafés, churches and streets of this seacoast town. Please see http://www.pmffest.org/ for performers and schedule. A registered nonprofit in the State of New Hampshire, the festival is held on the last weekend in September, with free music in the streets all afternoon Sunday.